One of our special products at Irish Oaks Ranch, is Aiden's Goat Milk Soap. Every morning, Aiden milks his herd of four Alpine Dairy Goats. Twice a month, Aiden transforms that milk into wholesome soap. Each batch is carefully made by hand using the finest ingredients. 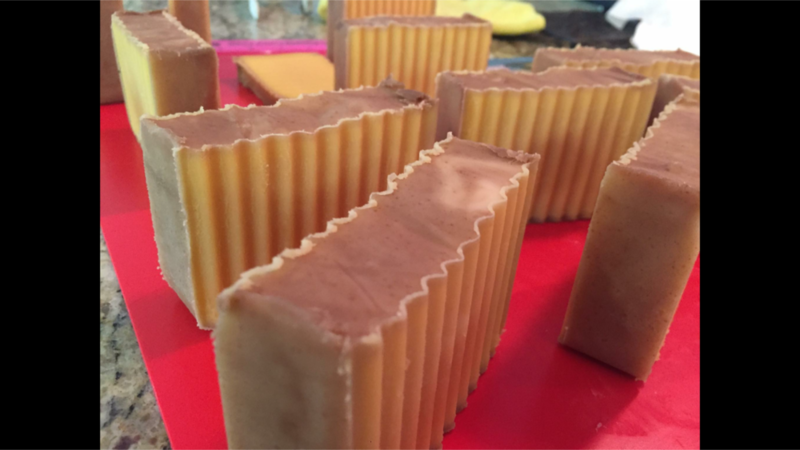 Compared to water based soap, Goat Milk Soap is better for the skin and is perfect for people with skin conditions such as eczema and psoriasis. It is also perfect for people who wish to maintain their already healthy skin.